The Toyota GT86 is a road sports car that is jointly manufactured by Japanese giant car manufacturers Toyota and Subaru. The GT86 is arguably one of the best road sports cars in the market, but rivals are cited as the Peugeot RCZ and Scirocco. In truth, however, neither of these cars seriously rival the GT86. If you enjoy driving, then the real contest is between the Toyota GT86 and Subaru BRZ. The Toyota GT86 and Subaru BRZ are almost identical. There are no definable differences between the two although there are some minor differences in the damper settings and spring. The GT is super accurate, light on its feet and so well balance that it is difficult to think of another car that handles more sweetly. The ease with which it lets go at the back end gives quite an enjoyable ride. Three key elements define the Toyota and Subaru models: both steer away from turbo-charging, are rear wheel drive and use narrow tyres. Their 215/45 R17 tyres are not oversized, neither are they sports tyres. They are Michelin Primacys fitted to the Prius that flex a little, are not too grippy on the road and allow for excellent handling. Selling at £24,995 for the 6 speed manual transmissions model and £26,495 for the 6 speed automatic transmissions model as of 2012, the Toyota GT86 packs excellent features that justify its price. The numbers it gives are c145mph, 200bhp, 1998cc, c42mpg, c6.8secs, c160g/km, 151lb ft and 1220kg, which allow for really stylish, luxurious and powerful driving experience. 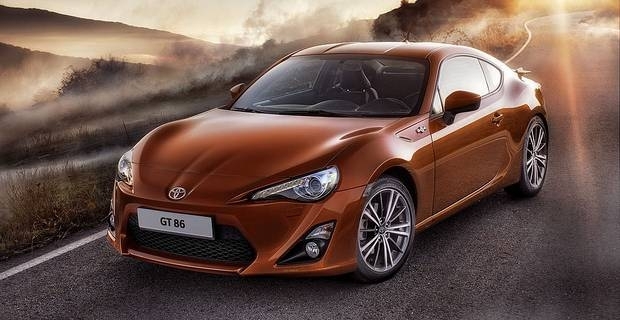 Your choice between the Toyota GT86 and Subaru BRZ will, however, likely boil down to brand preference, dealer location and slight visual tweakery than on any definable differences in riding quality.